Comic book publisher and collector Michael Moore donated this collection of underground comix in 1993. 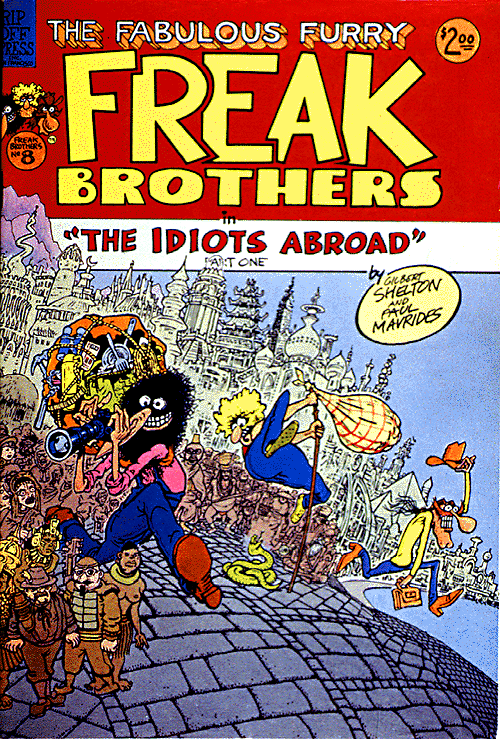 The collection contains comics from 1907 to 1993, with the bulk of issues representing underground comix in the late 1960s and early 1970s. Topics include feminism, marijuana legalization, Black Power, abortion, anti-war, and gay and lesbian issues. The collection reflects the resurgence of comix popularity as an alternative to mass-market mainstream comic books in the late 1980s and early 1990s. The collection also contains pre-press proofs, books about comix and the history of comics, catalogs, advertisements, rock n’ roll flyers, and artwork. The collection is partially arranged. TGI Thursday! It's 3:10pm right now.